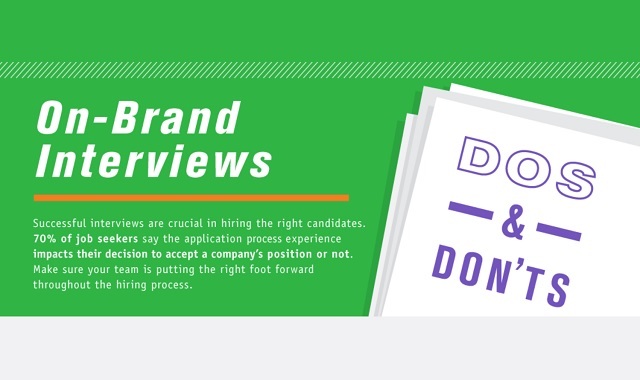 On-Brand Interviews Do's and Don'ts #infographic ~ Visualistan '+g+"
Successful interviews are crucial in hiring the right candidates. 70% of job seekers say the application process experience impacts their decision to accept a company's position or not. Make sure your team is putting the right foot forward throughout the hiring process.